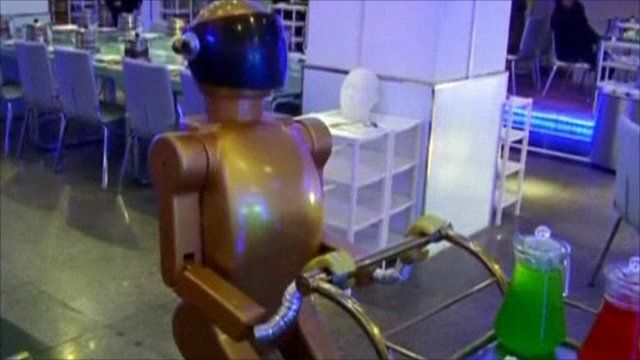 A new restaurant in eastern China is using robots to serve and entertain customers. Dalu Robot Restaurant in Jinan, capital of the Shandong province, has seven robots that serve customers. Customers are also greeted by some dancing robots. The restaurant's owner already has plans to open another robot staffed establishment.